Emergico Migration has expanded into the Hobart market. 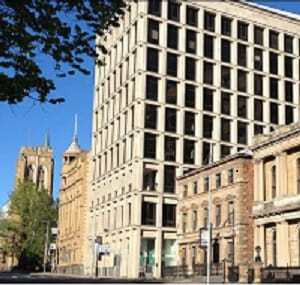 Our Hobart office, in the Reserve Bank Building, 111 Macquarie Street, opened on 17th April 2015. While Hobart may not be as large as the mainland capital cities (with a population of around 220,000) it is an amazing but well kept secret. With a flourishing Wine and Food industry, some of the best hospitality and tourism in the world (including Cradle Mountain; Lake St Clair; Port Arthur and Great Lake); and a cool, temperate climate, Tasmania is the perfect weekend getaway. But many people choose to migrate here as well. The University of Tasmania attracts many international students, and many of these go on to become skilled or employer sponsored migrants. The Tasmanian State Government has a population target by 2020 of 650 000 people. Currently it’s 515 000. Skilled migration – and attracting the right people – will be a key initiative to meet this target. At the moment there are attractive concessions on State Sponsorship for the right people. Think you’d enjoy a sea change? Talk to us today about how we can help you migrate to beautiful Tasmania!